It occurs to us that a lot of things we discussed here in the early days of the blog are now a long way back in the archives and not so easy to find, so we probably should reiterate some of the more important stuff. We try not to be dismissive of negative comments about what we produce, we think it is important to make sure people understand what it is that we do here, and how it’s different to the way other meat is produced, so here is the bulk of the reply we sent. Almost all lamb produced in Australia over the last couple of decades has been grown in the following way. Lambs are removed from their mothers at about 3 months and either grain fed, or, in the case of most so-called grassfed lambs, placed on flat irrigated lucerne or oats paddocks. This allows them to be grown out to kill weight by the age of about 9 months, some as early as 6 months. These are very immature animals who never really exercise, so their meat is soft and bland. Our lambs are left with their mothers and graze in the hills, eating diverse native pastures, eucalypt leaves, wattle leaves and bark, termite mounds, etc. Sheep will eat more like goats if they are allowed to express their natural behaviour. They grow more slowly this way and develop muscles and a strong flavour. This strong almost gamey taste is the reason lamb is traditionally prepared with strong, aromatic herbs like mint, rosemary and oregano. The lamb you bought from us in June would have been 16-18 months old, a mature animal, allowed to grow at it’s own pace. We have sold about 1000 lambs over the past 7 years and our most common response is from older people saying, “This is what lamb used to taste like when I was young.” When we first started selling at farmer’s markets, all of the people selling meat were farmers, selling meat similar to ours. Over the last 5 years or so, we have noticed farmers being replaced with butchers who buy out of the saleyards and sell at the markets. This, combined with the greenwashing of the supermarket chains has led to an expectation that grass fed meat will taste just like industrially produced meat from feedlots. 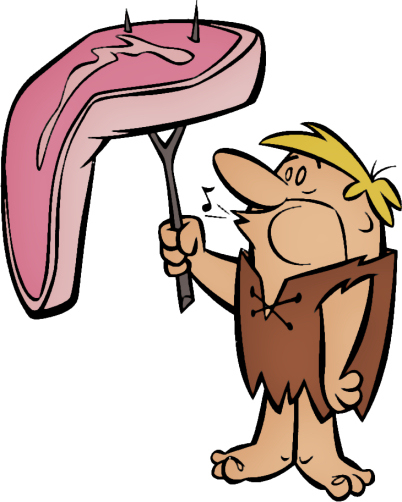 We grow meat the way we believe it should be grown; unfortunately, we’re becoming a relic of a past age.